- Forklift truck features rear-wheel steering, 2-cylinder engine with moving pistons, and high-reach forks that can lift and tilt, plus a detailed driver’s cab, orange warning beacon and large tires. 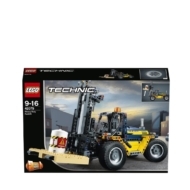 - Also includes a buildable pallet and a cargo barrel with hazard-warning stickers. - Maneuver the forklift to move the visible 2-cylinder engine pistons. - Raise and tilt the forks and operate the rear-wheel steering to lift and transport the pallet to its destination. - Lift the pallet of cargo high into the air! - Comes with a yellow and blue color scheme and a set of stickers for additional detailing. 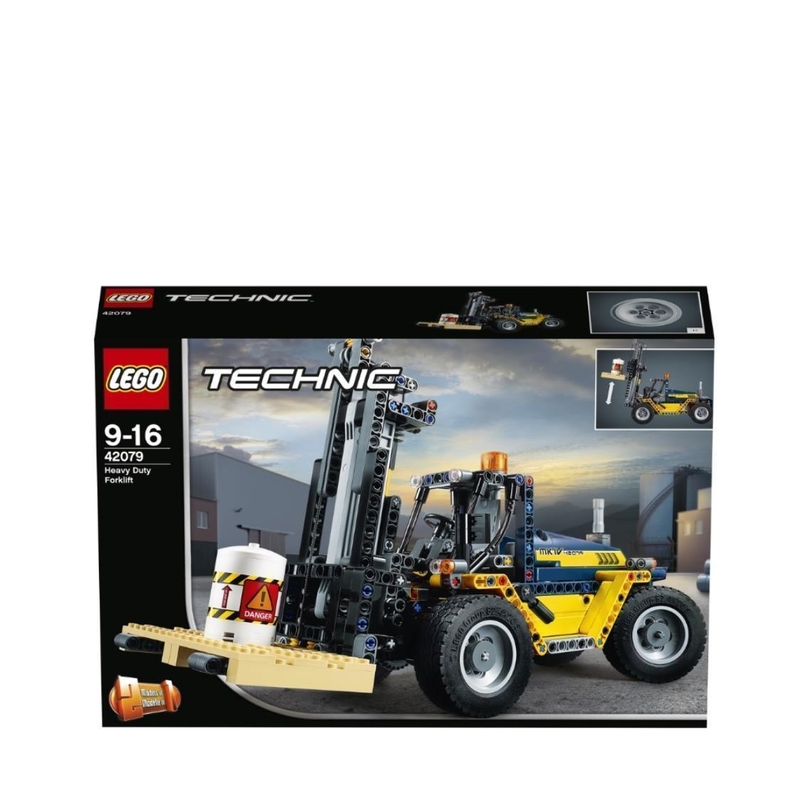 - This LEGO® Technic™ advanced building set is designed to provide an immersive and rewarding building experience. 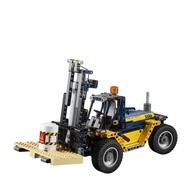 - 2-in-1 LEGO® Technic™ Set: rebuilds into a Tow Truck. - Heavy Duty Forklift measures over 7” (18cm) high, 12” (33cm) long and 4” (12cm) wide. - Tow Truck measures over 5” (13cm) high, 12” (32cm) long and 4” (12cm) wide.